Boy Scout Troop 502 offers a year-round adventure-based program designed to offer and encourage effective character, citizenship, and fitness training for boys age 11-17. Boy Scout Meetings are held every Monday Evening at 7:00pm at Harrison United Methodist Church at 15008 Lancaster Highway, Pineville, NC 28134. Check our calendar for confirmed meeting times and topics. Our troop was founded in 2000 and is sponsored by Harrison United Methodist Church in Pineville, NC. 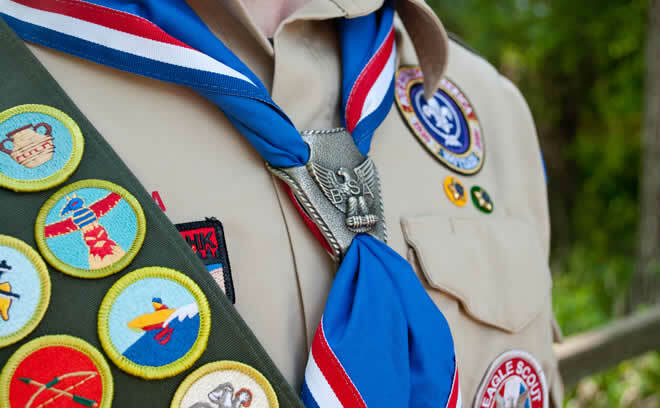 Since the Troop was charted we have had over 25 Scouts achieve the rank of Eagle. Our Eagle projects have helped local schools, churches, and charities. Our most recent summers have taken us white-water rafting, hiking along the Appalachian Trail, and week-long summer camps in North Carolina and Virginia. Every year we try to squeeze in caving, biking, hiking, canoeing, wilderness survival camping, outdoor cooking competitions, rifle and shotgun shooting events, Camporees, visits to military bases, and orienteering.